It’s the Biggest Yard Sale Weekend of the Year! Sam scores an awesome geode at the estate sale! We hope you’re all out there hitting the yard sales, church sales and estate sales this Memorial Day Weekend and making lots of great scores. There seems to be a yard sale every fifty yards up in the Catskills this weekend, so get in your car and hit the road today! Our good friend Sam found an amazing geode at this killer estate sale just outside of Phoenicia yesterday. 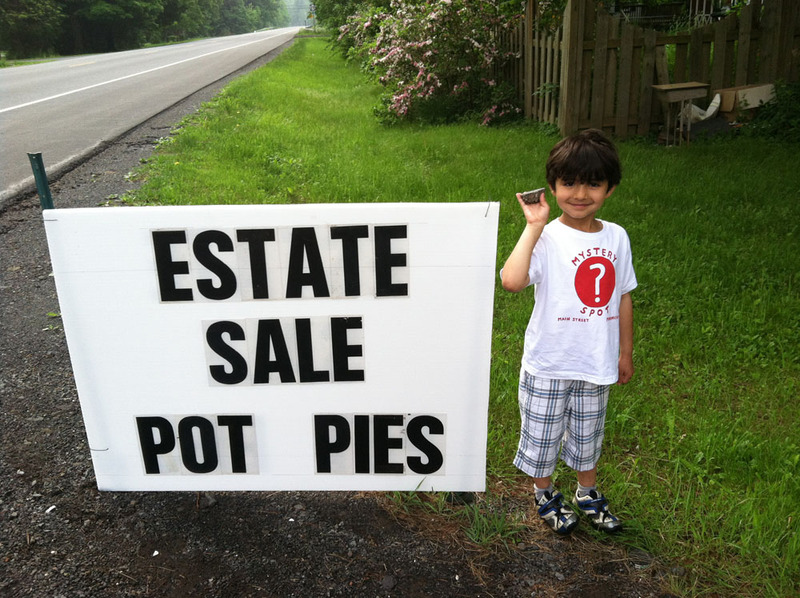 By the way, it was his first yard sale ever – he’s a natural! 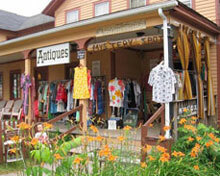 And don’t forget, Mystery Spot Antiques is having a 20% off sale all weekend long (Sat – Mon)! Can You Spot the Spot Tee? Even though the Mystery Spot T-shirt is only available in very limited quantities, it still manages to turn up in the most unusual and far-flung places. 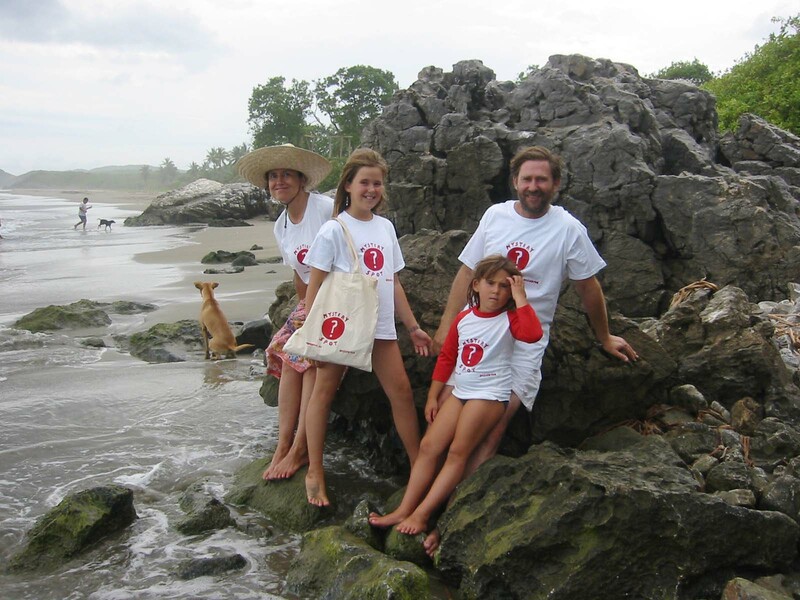 Don’t be surprised if you spot the familiar red and white logo while surfing on a remote beach in Mexico, or trekking in Burma, or checking out the bands at Jazzfest in New Orleans. Our friends and customers always make a point to pack along their Spot tee when they travel the world and send us photos of themselves hither and yon. The next time you set off on an adventure, be sure to bring along a Spot tee, and send us a snapshot for the blog! 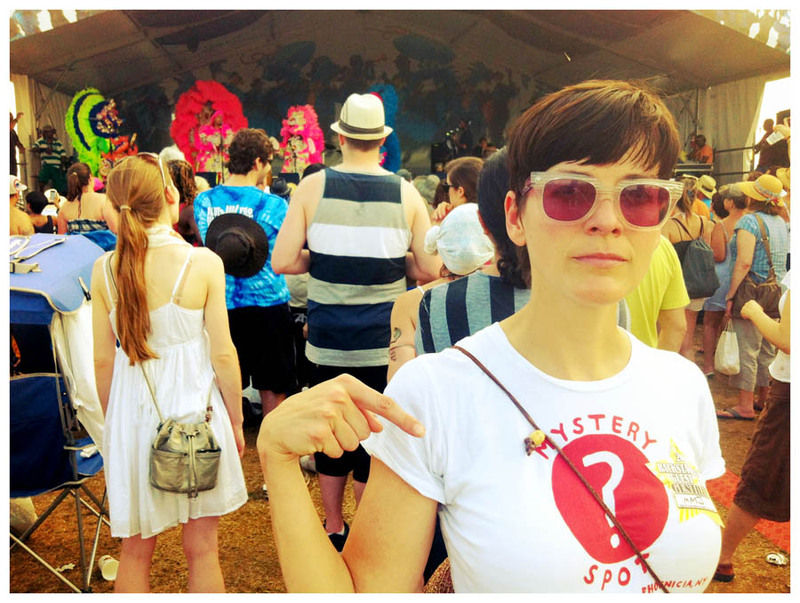 Mystery Spot tee spotted at Jazzfest in New Orleans on killa singer Ambrosia Parsley. Pilar, Eusebio, Mariana and Sofia on the beach just outside Zihautanejo, Mexico. 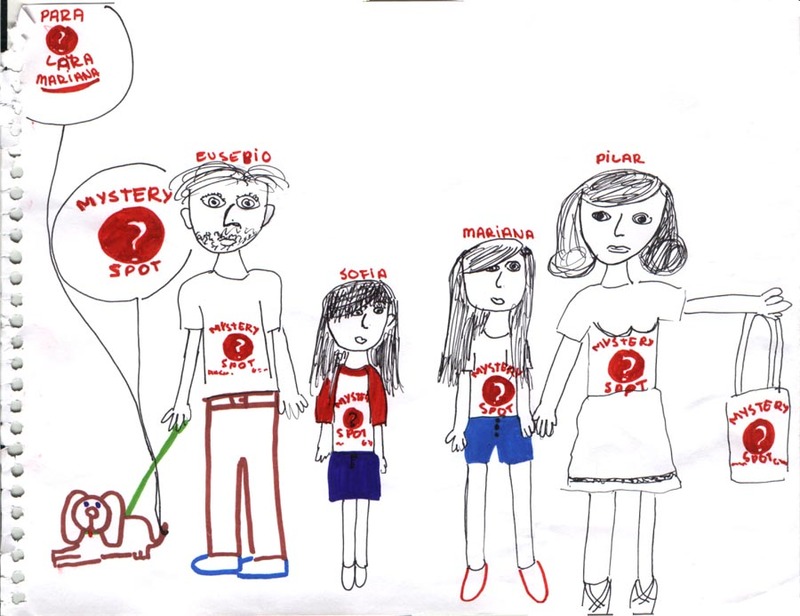 Here's Madrilena Mariana's drawing (from memory!) of her family a la Spot. 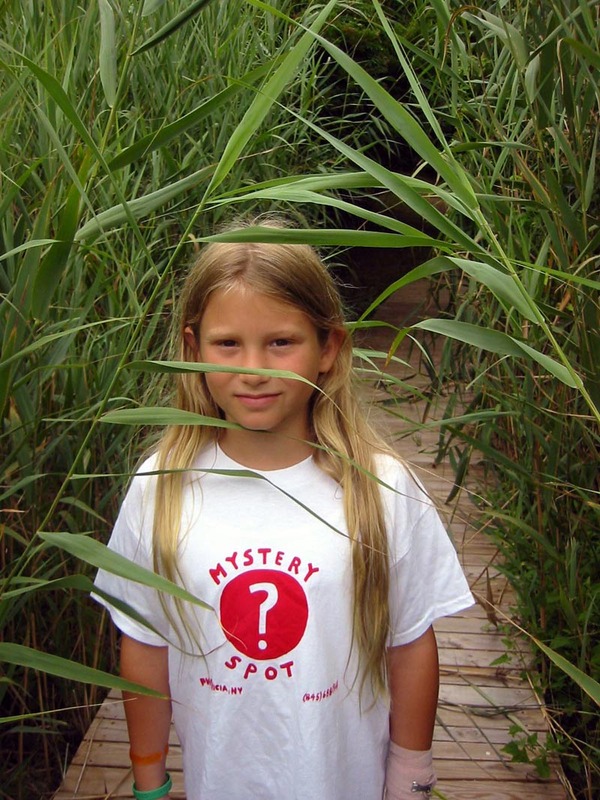 Eva and her Spot tee emerge from the reeds along the shore in East Hampton. Kai rocks the Spot tee in Phoenicia. One of the perks of our music industry-related background is the insider access we have to some mighty fine and unusual vinyl collections. 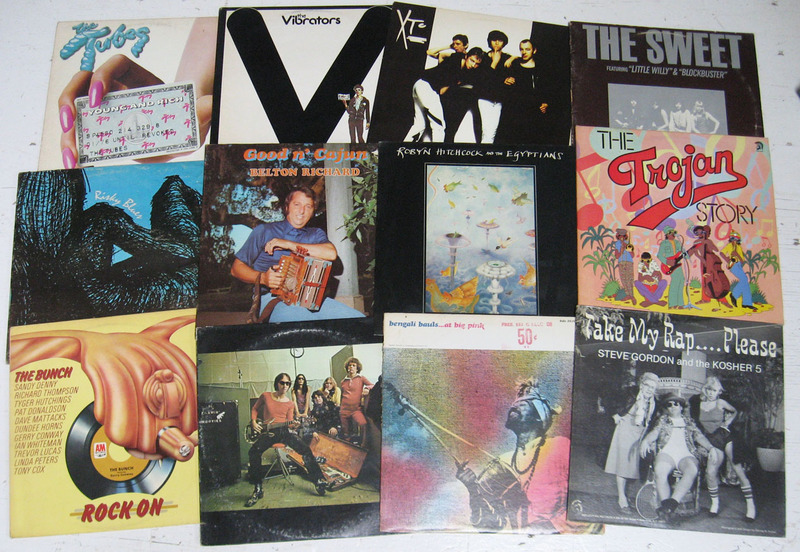 Here’s a small sampling pulled from a random box, all of which were put out on our shelves last weekend. All of these records (not to mention the other couple of thousand records in the Mystery Spot record room) will be 25% off this Saturday, April 21 as we celebrate Record Store Day. So head on up (or down) to Phoenicia, NY this Saturday and start digging! 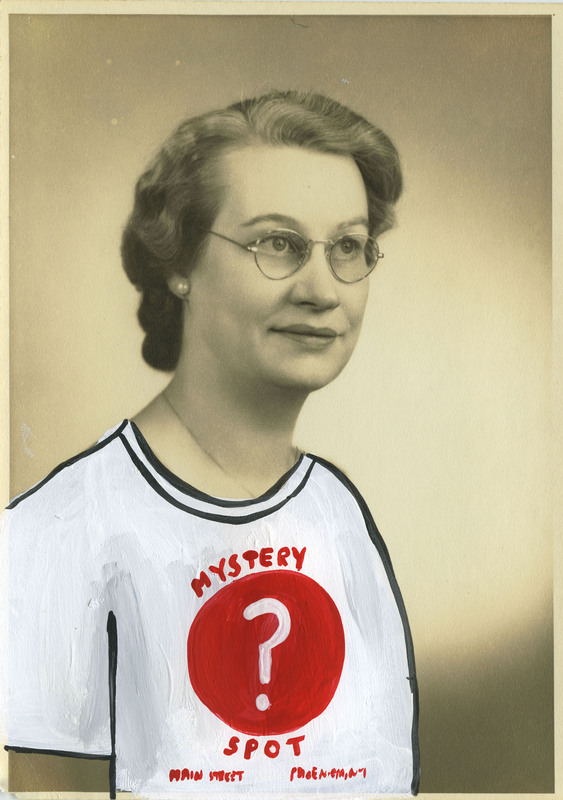 The Mystery Spot T-shirts are in! Let us rejoice! 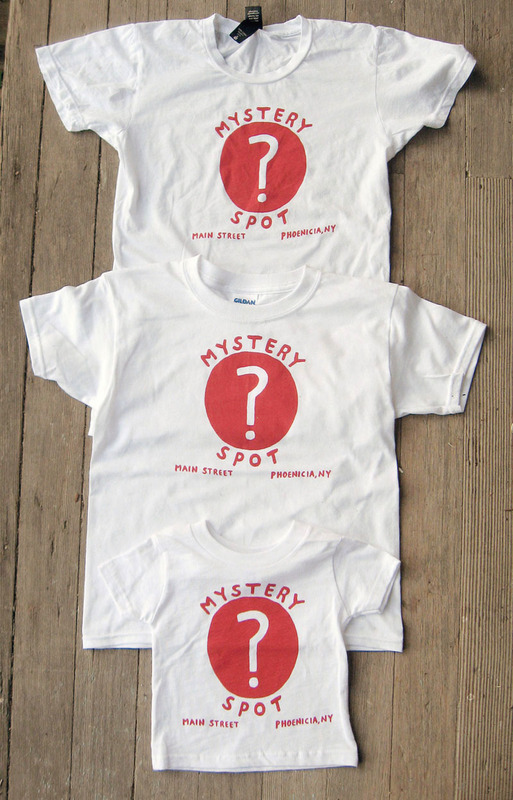 The new Mystery Spot T-shirts are in! Screened red ink on white cotton, available in a range of sizes from 12 months to extra large, child’s, “vintage-style” ladies,’ and men’s. They read MYSTERY SPOT – MAIN STREET – PHOENICIA, NY. Priced across the board at a mere $15. apiece. 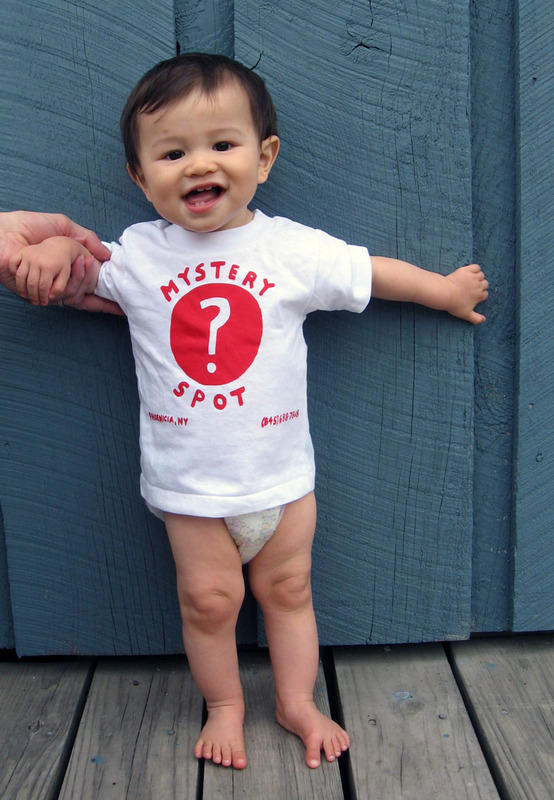 Mystery Spot tees in Youth Small, Infant 12 months, and vintage-style Ladies. We have them all the way from Toddler up to Men's Extra-Large and everything in between.